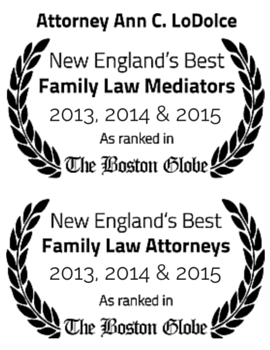 Home Divorce Advice What does a visitation schedule look like? What does a visitation schedule look like? It is the intention of the parties that both parents will be integrally involved with the life of the child on a daily basis is possible. However, the parties are cognizant of the realities of life, and have agreed that the Wife will move to the xxxxx area, but that additional moves for the child shall be discussed before such move so as not to remove the child unnecessarily from either party’s access and so that both parties may have input into the educational opportunities to which the child may avail himself in the town in which he lives and school system in which he is enrolled. The Father shall have alternating weekend visitation with the children, every other Friday at 5:00 p.m. to Sunday at 5:00 p.m., unless there is a Monday holiday in which event, the Father will return the child on Monday at 5:00 P.M. with transportation to be shared equally by the parties. During the week, Father shall have visitation with the minor child twice per week, on days to be agreed upon, from 5:00 P.M. to 8:00 P.M. with transportation to be provided by the Father. During the week, Father shall have over-night visitation with the minor child twice per week, for two consecutive days from 5:00 P.M. through the second day at 5:00 P.M. with transportation to be shared equally by the parties. If Mother intends to be out of town, Father will be allowed custody of the minor children during the time that Mother is away. Likewise, if Father intends to be out of town, the Mother shall be allowed custody of the minor children during the time that Father is away. Each party shall have two (2) weeks uninterrupted summer vacation with the children during the year. The Father shall notify the Mother of his vacation schedule by May 1st for the up and coming summer in Odd years. The Mother shall notify the Father of her vacation scheduled by May 15th for the up and coming summers in Odd years, taking time that the Father has not selected. In even years, this arrangement shall be flip flopped. Each week shall commence at 5:00 p.m. on a Friday through the second Sunday thereafter at 5:00 p.m. During each of the scheduled vacations with the children, the vacationing parent shall both pick up and drop off the children. February Vacation: Odd years with Father and Even years with Mother. April Vacation: Odd years with Mother and Even years with Father. Christmas Vacation: Each party shall have one half of the Christmas school vacation, with the Mother having the first half in all Even years and the Father having the first half in all Odd years. The first half shall commence at 12:00 noon on December 26th through 5:00 p.m. on December 29th; the second half shall commence at 5:00 p.m. on December 29th through New Year’s Day (January 1st) at 5:00 p.m.
Easter: Commences 4:00 p.m. on the Saturday before Easter through 5:00 p.m. Easter Sunday. Odd years with Mother and Even Years with Father. Mother’s Day The Children are always with Mother, commencing 10:00 a.m. on Mother’s Day. If Mother’s Day falls on the Father’s weekend, this day shall not be made up on another weekend. If the Father has visitation, he shall bring the children to the Mother’s home. Father’s Day The Children are always with Father commencing 10:00 a.m. on Father’s Day through 5:00 p.m. on Father’s Day. If Father’s Day falls on Mother’s weekend, this day shall not be made up on another weekend. If the Mother has visitation, she shall bring the children to the Father’s home, the Father shall return the children at 5:00 p.m.
Fourth of July: Commences 9:00 a.m. on July 4th through 5:00 p.m. on July 5th. Even years with the Father and Odd years with the Mother. Halloween (evening): Commencing 4:00 p.m. to be returned home by 8:00 p.m. by the Father, or Mother if Halloween falls within Father’s visitation. Even years with Mother; Odd years with Father. Thanksgiving: Commences 9:00 a.m. Thanksgiving Day through 5:00p.m. the Friday after Thanksgiving. Odd years with Mother, Even years with Father. Christmas: Commences 12:00 noon on Christmas Eve, through 12:00 noon on Christmas Day. Odd years with Father and Even years with Mother. Christmas Day commencing 12:00 noon through December 26th at 12:00 noon. Child’s Birthdays: The child’s birthday shall be spent with whichever parent has the child. The other parent shall have the right to call the child on his birthday. Child’s Activities: This Agreement and the visitation will supersede all the child’s activities unless the parties agree in advance to activities which may fall on the other parent’s weekend, in which event both parents will be obligated to take the child to such activities. Each parent shall have reasonable telephone access to the child during the other’s visitation periods. Alternating weekends shall continue after an interrupted holiday or vacation visit as if the holiday or vacation never occurred.